Jake served in the United States Marine Corps from 1999-2007. During that time period he served with 4th Force Reconnaissance, 1st Force Reconnaissance and served a combat tour in Iraq 2003. Jake is a Police Officer with the City Of El Cajon. His current assignment is the Training Coordinator and Range Master. 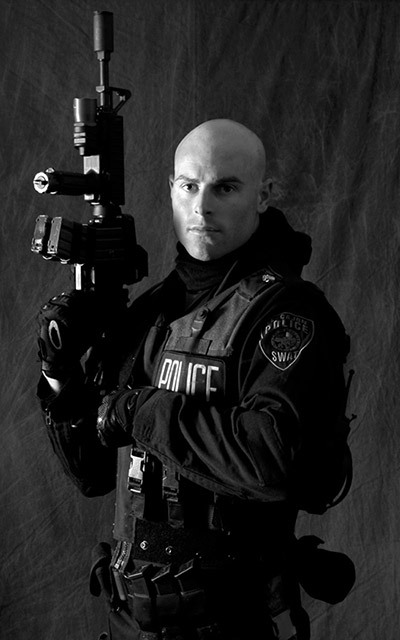 He is also assigned to SWAT and is attached to the explosive breaching and entry team. His previous assignments have included Patrol, Gangs, Terrorism, Field Training Officer, Mobile Field Force, and Wellness/Peer Support Team. Jake has his level 1 Crossfit Trainer Certification, Crossfit Endurance and Crossfit Kids. His athletic background is in endurance based events, crossfit, and powerlifting. Jake is currently sponsored by Life As Rx, SakTea, and Clinch Gear. 2014 WOD Gear Team Series 17th place out of 75 teams.